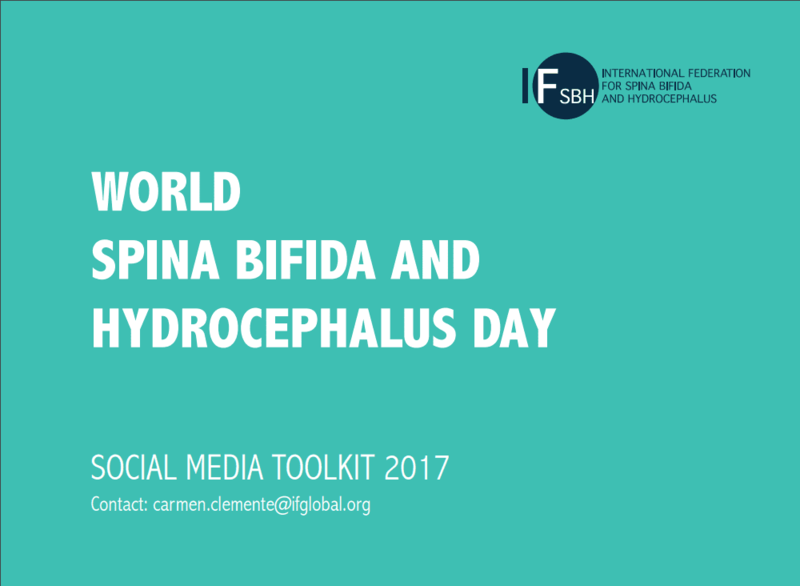 4 October 2017 // The World Spina Bifida and Hydrocephalus Day 2017 is coming up soon! It will take place the 25th of October and for this occasion IF has launched a social media toolkit so that you can contribute and be well-prepared for this special day! The World Spina Bifida and Hydrocephalus Day was celebrated for the first time in 2012 and aims to raise awareness and understanding and to advocate and promote the rights of people living with these conditions. This year the action is connected to the mental health of people with spina bifida and hydrocephalus. In the professional world there seems to exist a lack of awareness with regard to the mental well-being of people with disabilities and their families, which has led to a gap in accessible healthcare services and increasing stigmatisation of the mental health issue. Our social media toolkit will provide you with key links, a video animation (coming soon), posters, key events, hashtags, logos and banners for download, and suggested messages. This material is developed for you to share on your website, on social media, and to distribute within your network. Please share this toolkit with colleagues and friends and help us spread awareness about the importance of mental health as part of integrated care for people with Spina Bifida and Hydrocephalus and their families! You can find and download the toolkit here. Thanks for your contribution!